It does not take long to grasp the enormity of achievement on the part of Justin Gray as heard on New Horizons a record with his group Synthesis; not only has he had a unique new kind of bass guitar fashioned out of the design concept of the Indian veena, but he might just raise the profile of that Vedic-era instrument right out of its near obsolescence – even in North Indian Hindustani music, where it has been all-but eclipsed by the sitar. Of course, the veena is uniquely suited to Mr. Gray’s preferred instrument – an electric bass guitar. But who would have thought of melding the two instruments together; adding a complete set of resonating strings. And then there is that small matter of adapting his instrumental technique to the manner in which the strings of the veena are plucked with the fingers and thumb of his right hand. Suddenly the Justin Gray package becomes infinitely more significant. Now, happily, we have almost an hour of music to listen to (and videos to go with them). It must be said that Justin Gray’s instrument is unique, but not the first “adapted veena” (for want of a better way to describe it). A Mohan veena was once crafted by modifying a classical Indian sarod, which was created by the well-known sarodiya Radhika Mohan Maitra. And then there was a famously modified Hawaiian guitar created by Vishwa Mohan Bhatt called the “Mohan veena”. And also, famously, John McLaughlin added resonating strings to his guitar during his Shakti incarnation period. But no one has used the veena’s unique characteristics to modify a bass guitar and change its elemental sound so significantly. Moreover, few musicians have made the collision between North Indian Hindustani music and western popular music sound so uniquely beckoning as Mr. Gray has. Thus when he calls this record New Horizons one forgets the potentially fatuous meaning that a word like new can have as a near-hyperbolic element in this title. 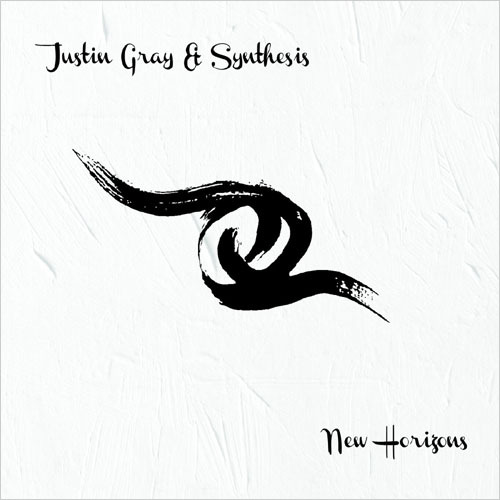 Indeed Justin Gray can easily be seen as the new lodestone of the proverbial Indo-Jazz style of music. And his excellent album is, in fact, like an elegant railway system linking Jazz, Hindustani, folk and other popular eastern and western styles in a sort of 21st century conservatoire style. But to describe it as such would also give the impression of overcooking when in fact the whole project is a masterpiece of subtlety. In fact Mr. Gray’s take on that lineage is less conventional here, seeing him surrounded by musicians such as Ed Hanley on tabla, Ted Quinlin on guitar, Drew Jureska on violin, Todd Pentney on piano, the great Trichy Sankaran on mridangam, Dhruba Ghosh on sarangi and many others. The veena/bass tones of Mr. Gray’s glorious instrument float benignly over the sound of the string-driven ensemble that in turn adds a rich and not entirely predictable harmonic foundation to Mr. Gray’s accomplished music. The surprises, when they come, are effective and discreet: a gamelan-like riff is played as pizzicato harmonics, a delicate curlicue of a bass line underpins what sounds like a Gaelic lament and a close-knit ensemble passage develops from a single phrase. All this as the recorded sound balances detail and warmth.